We are now the proud owners of 2 Green Flags! Congratulations to our whole school community who helped to work as a team in order to achieve this. With special thanks to all of our Eco-Warriors for carrying out their responsibilities with pride and sharing their enthusiasm with others. Our school and Eco Warriors were proud to announce that we were the first school in the UK to take part in an exciting new Eco project! We are now re-launching our food waste caddy and bags scheme to homes. 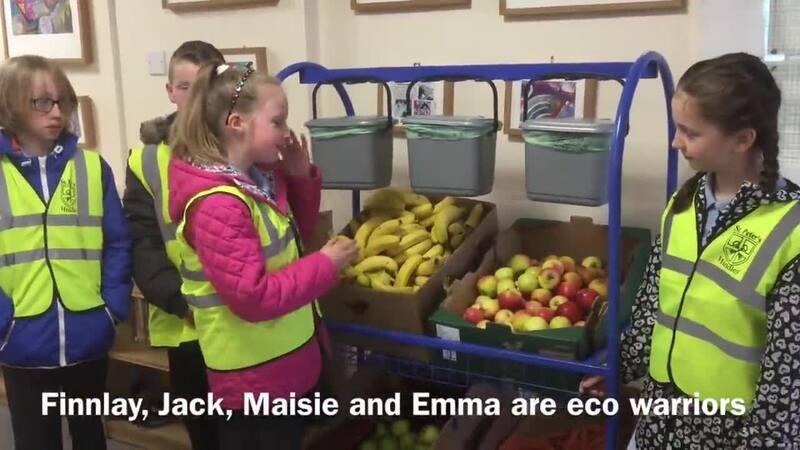 Not only does it educate our Warriors and school community in food waste and recycling, it is a scheme to raise money to spend on Eco projects in our school, whilst also making links with the wider community! We meet every Thursday night after school to discuss how we can share our eco awareness with others whilst developing our own awareness.